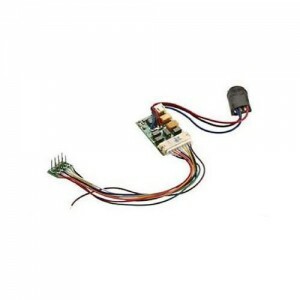 Engineered in New Jersey, this 16-bit Universal sound decoder has a specific Prime Mover sound, 4 horns, 2 bells and contains other high-end features and controls found in MRC’s “Platinum Series” 16-bit decoders. 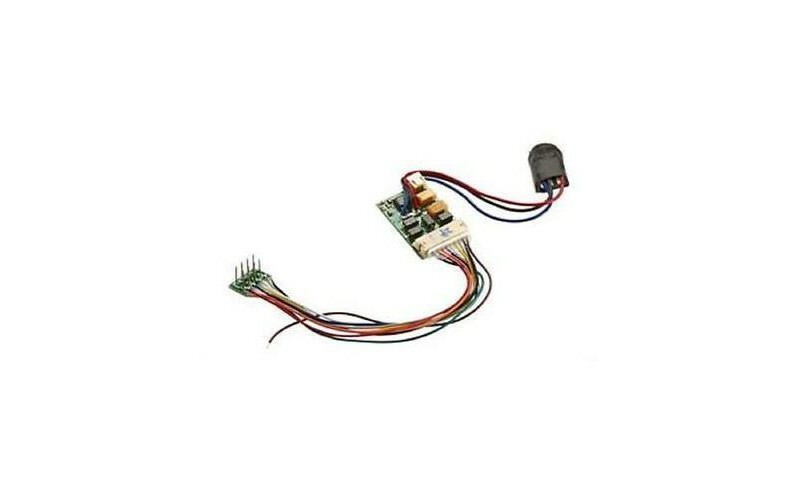 This decoder is designed for mounting where space permits, and includes an 8-pin NMRA connector, a 9-pin JST connector, and it’s designed and tested to operate with any NMRA compatible DCC System and MRC’s exclusive line of Tech 6 DC Powerpacks with DCC capabilities. ​Note: We provide free installation of the decoder . No Speaker included . No warrenty or guarantee of the decoder.